While Port O’Brien was great, especially the boisterous “I Woke Up Today” and its equally playful video, I love Van Pierszalowski’s new band, Waters even more. It’s quickly becoming one of my most played albums this summer. 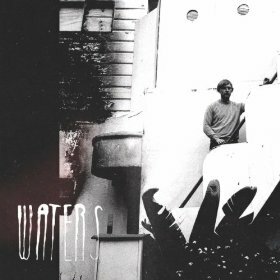 Decidedly more indie rock than folk, Waters is also louder and feels more emotionally raw. “For The One” (mp3) kicks off the album with a blur of catchy fuzz that just begs to be turned up, as if the guitar was playing through blow out amps. Two of my other favorites on the album similarly embrace the rock n’ roll spirit — “Back To You” is driven by thumping drums and vocals escalating at the chorus, while “Take Me Out To The Coast” incorporates remnants of his old band’s communal sing alongs. However, not all of the album is pushed into the red, it's actually quite balanced. The quiet strumming on “Mickey Mantel” highlights a wonderful yearning chorus. If only all my favorite bands came back this strong after breaking up. Waters plays at the Branx on Thursday with Mister Heavenly. Ok, fine. I love almost every song on the album.